\r\nIt would be cool if there was one...my first car was a 1976 X19...the coolest car on earth!! A chick magnet back in the day! 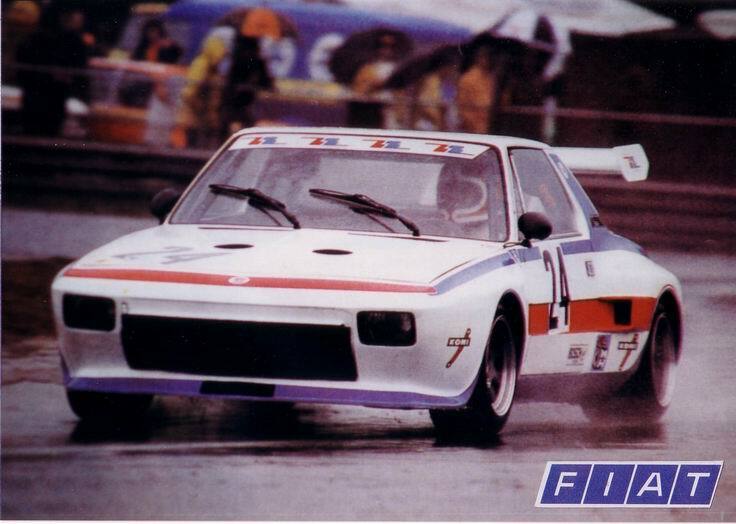 \r\nThose are all body kits for the Fiat X1/9, which you can find all over Canada and the US. The X1/9 was sold from \'74-81 or so as a Fiat, then Bertone (who designed the car) continued selling them under their own name until \'85 (interestingly enough, that was about when the MR2 arrived on the scene as a japanese copy of the X1/9). Well the most I\'ve paid for any of mine was $26 so their pretty cheap here in Nevada and I have 4 right now. I\'m looking for the kit cause my first x1/9 (a 1975) needs a wee bit more body work then I think I"m capable of and the body kit would go over just about all of it. The x1/9 uses alot of Yugo ignition parts and the motor is just about the same too, so parts are cheaper than dirt. \r\nMy father had a red 1987 Fiat X1/9. It was a very good car. His was obviously fuel injected. Is yours? Pretty cool, i wouldnt mind having one if found cheap enough. But i\'d want the bodykit cause it looks pretty cool. Those are some nice cars you got. Is there any order your going to fix them in or just randomly? Thats cool. What really are you gonna do with 4 or so of the same car lol? Nice collection though. \r\nWith Fiats you need at least two to keep one together. And if you want to build them more than one way, you need even more..
Haha good to know, dont know much about Fait. My dad\'s always been into the older domestic (mostly chevy) vehicles. Lol, Chris has got that right. Still looking for a parts car for my 124 Spider. I didn\'t know Eurosport was still making / selling body kits for the X1/9. I might be interested in their bolt-on kit, depending on cost of kit and shipping charges. \r\nI sent Eurosport an email and got a reply. They still sell the bolt-on kit! They quoted £399 for the kit and £50 for crating. I\'d have to arrange shipping. The only way I could see sharing the cost of shipping working, would be if we lived close enough where we could ship to a single, mutually-convenient location. \r\nLarry, your profile doesn\'t show your location. Where are you located?